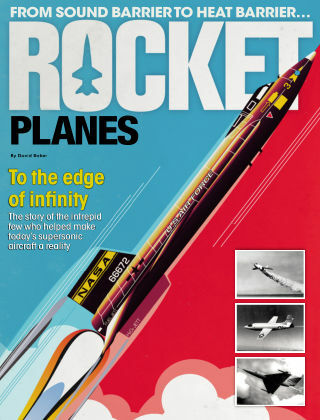 With Readly you can read Rocket Planes and thousands of other magazines on your tablet and smartphone. Get access to all with just one subscription. New releases and back issues – all included. Rocket planes tells the story of the world’s most powerful aircraft… from their origins in the 1940s through to Virgin Galactic and its plans for carrying passengers to the edge of space. In October 1947 test pilot Chuck Yeager blasted through the sound barrier, forging a new opportunity for high-speed flight and opening a door to the future of aviation. Nearly 70 years on, pioneers and entrepreneurs are now reaching for space in rocketplanes designed to carry paying passengers on the biggest thrill-ride of their lives. Between these two events, fantastic rocket-propelled flying machines came and went. Some burst through barriers many thought were impossible to cross, others crashed and burned on the desert floor of America’s premier flight test centre, while still more pushed against the heat barrier and survived. In this new glossy 132-page publication, aviation historian and author David Baker, a man who worked on the Apollo programme, tells the story of the last frontier – pilots and machines forging a new path to the edge of the atmosphere and beyond. Rocket planes is a story as exciting as a thriller and as gripping as a novel, but with step-by-step detail on the machines built for hypersonic flight and the men who forged a new frontier for humans to cross.